Instrumental hip hop has long failed to excite any kind of reaction from a largely disinterested crowd over the last couple of years - but thanks to a new school of producers - Rustie, Dr. Who Dat, Lukid and Flying Lotus at the top of the pile - things are looking up. 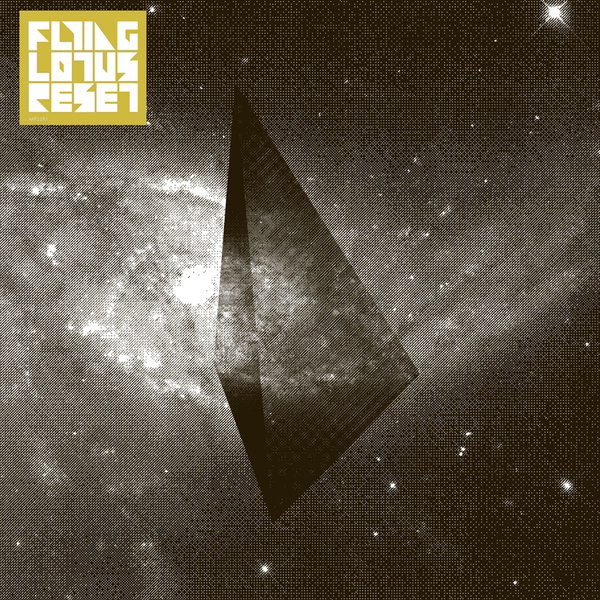 Following on from the great, largely overlooked "1983" album for Plug Research, Flying Lotus has slowly but steadily become a name people have started to seek out, with a signing to Warp and a much publicised blood relation to Alice Coltrane adding to the sense of intrigue. "Reset" is the first taste of new material from the Lotus and just doesn't disappoint, offering up some of the heaviest, most cleverly produced beats we've heard this year. The trick here is, of course, the robust production, making use of an almighty low-end that underpins every track, accompanied by a filthy swing that Madlib would be proud to call his own. Opening track "Tea Leaf Dancers" is by some way the best thing here, a blue neon light flickering away as Andreya Triana slowly seduces you into submission. Like a more narcotic Jill Scott or Erykah Badu, the Flying Lotus effect is one of complete and utter sensory flirtation, at once soothing and impossibly cool - quite a feat. "Vegas Collie" is up next and serves as the EP's most showy number, the beats so complex and brilliantly edgy that you'd find yourself hard pushed to think of anything of its kind that's quite as effective. "Massage Situation" re-deploys the soulfulness, this time with a rumbling bassline that best recalls Dabrye's classic one/three set, while "Spicy Sammich" sticks to a similar template but with a more skeletal, Shadow-esque arrangement. "Dance Floor Stalker" ends the EP with perhaps its most progressive track, the bassline once again taking centre stage in an almost quasi-booty fashion while elongated stabs direct your focus elsewhere, sending you off into a blurry haze. There's no wonder that followers of dubstep have also been getting into Flying Lotus - the arrangements here should offer much food for thought for many of the genre's less imaginative producers - what Flying Lotus does with the barest ingredients is truly hard to fathom in one sitting. 6-track EP - ABSOLUTE KILLER!